Spey Co. announces the launch of the Spey tartan, a traditional check celebrating the signature craftsmanship of the company. The bespoke tartan pays homage to the pastoral country estates dotted throughout Speyside and along the River Spey – the company’s namesake – wherein resides a critically endangered species of Scottish freshwater pearl mussel. Proceeds from the sale of each tartan benefit this threatened environment. The tartan marks the first time Spey has expanded beyond their craftsman collection of fine pearl jewelry. The company, which has a cult following among Washington’s diplomats and Society belles, also has the makings of a luxury goods empire; heirloom quality leather accessories and a signature fragrance are in the pipeline for release in 2017. The first release of the Spey tartan has been handwoven by artisan weavers DC Dalgliesh in Scotland in two expressions: a classic silk scarf and a traditional shepherd’s plaid in wool. 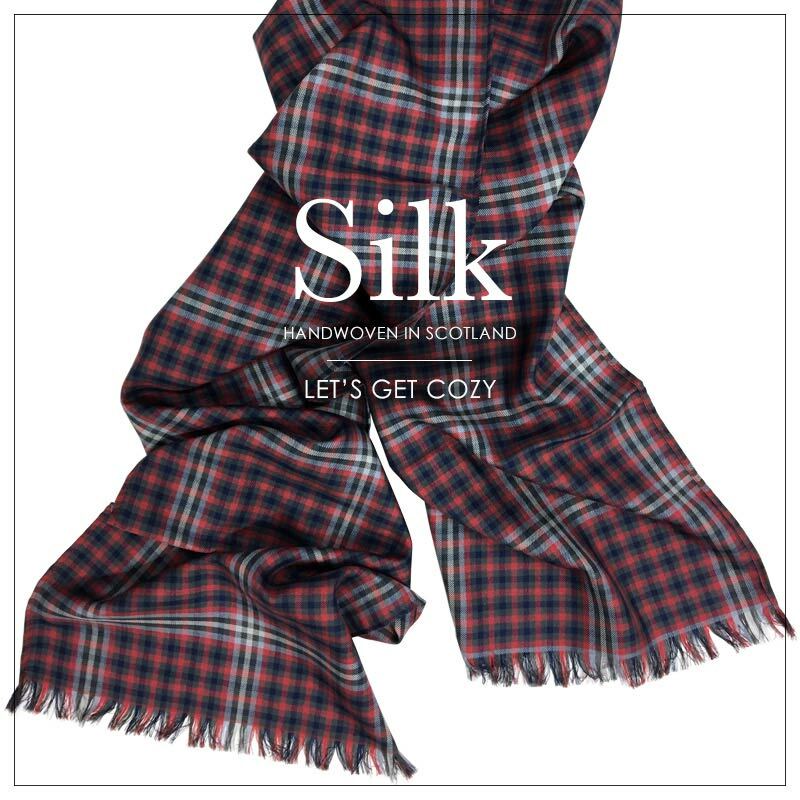 The scarf is made of the purest silk in a dense twill weave with a lusciously smooth touch that is ideal for draping. The scarf is finished at either end with a combed fringe, blending impeccably well with both elegant and casual tailoring. Spey tapped acclaimed pianist Jason Solounias (pictured) to bring the Spey tartan to life. Shot on-location at The Hay-Adams historic property and hotel by photographer Andrew Noh, the campaign captures the artistic patronage and stylish heritage iconic of the Spey brand. Mr. Solounias, a distinguished and multidimensional musician, performs across the United States and Europe, from the Kennedy Center to Southwark Cathedral.